I was excited to contribute an essay to Granta: a long piece of reportage in which I travelled to the far north of Scotland to wander in the vast peatlands of the Flow Country. North of Helmsdale, the land opens up. It is a rare and unusual landscape, stripped back and open to the sky … what strikes you first is the utter absence of the picturesque. A single sweeping line demarcates the heavens and the earth: God’s rough draft, the Earth formless and empty still. The cow-brown flats tussocked and pockmarked by puddles and pools. Slow gradients slope off in every direction; in the distance a few low hills poke their noses into the air. 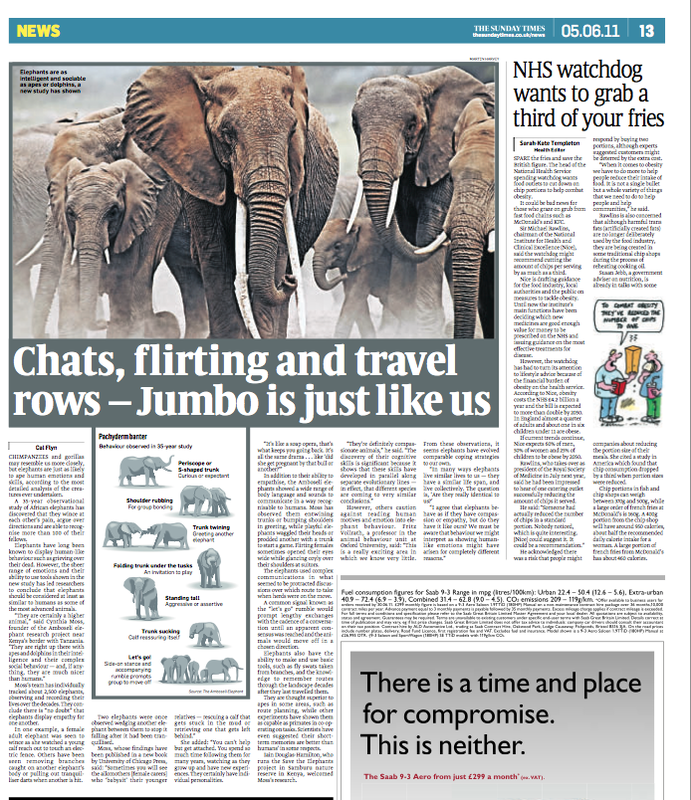 I’ve just spent a wonderful week learning all about elephant behaviour for this article about the Amboseli Trust for Elephants in Kenya, the longest study of wild elephants in the world. If you would like to buy a copy of the book which summarizes the Trust’s findings over the last 35 years, mentioned in the article below, it is available to purchase here. Find my article on the Sunday Times website here, or click ‘continue reading’.